Competitive brands always cross paths while advertising their products, but there's nothing like this banter which recently transpired between two automobile giants on Twitter. 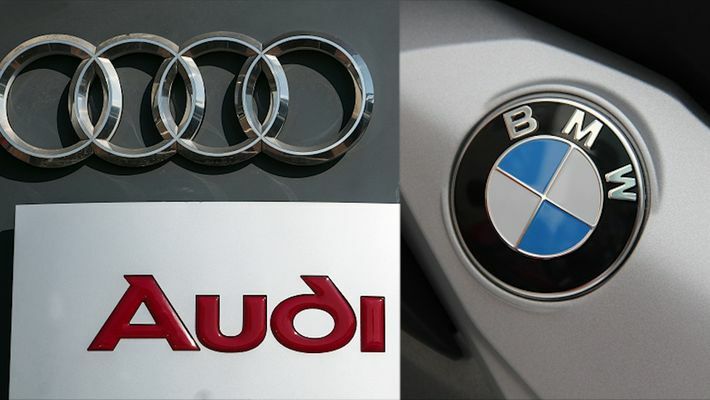 Audi and BMW indulged in a battle of words, which has already become the talking point on social media. Recently, BMW posted a picture of its car, "M4" on Twitter, which had some amazing fireworks and rings in the background. Audi was quick enough to spot a unique feature on the poster. The rings formed by the sparks behind the BMW car, resembled the logo of Audi. Audi could not help but respond to the post saying this. These two brands have never left a chance of taking a dig at one another. What followed next is something that is going to be discussed for years to come. Just when people thought that Audi has reached the finish line, BMW came back with a bang and stunned everyone. Here's what BMW replied, which has left many netizens in splits. We see it, where we usually do... in the rear view mirror. Here are some funny responses that refuse to end the hilarious wordplay. But we could also look at it as BMW throwing shades at Audi by leaving it "behind" 😂😂😂😂.